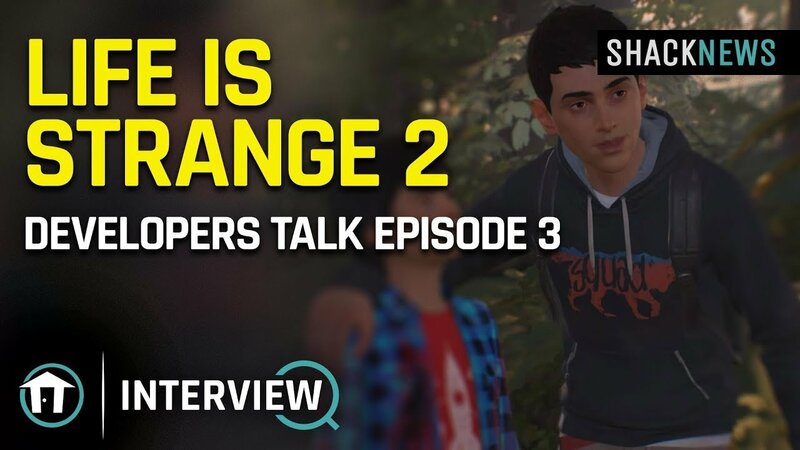 Shacknews sat down with the producer and co-creative director of Life is Strange 2 to chat about bringing believable teenagers to life, meeting people, and other important details. The Life is Strange series has grown into a veritable phenomenon since it first debuted with the adventures of Max and Chloe, but ever since the second season debuted, we've mete an entirely new cast of characters with different plights. At GDC 2019, Shacknews sat down with producer Luc Baghadoust and co-creative director Raoul Barbet to discuss Life is Strange 2, the processes its creators use to bring its cast of believable characters to life, and a variety of other engaging topics, all of which you can see in the full interview clip below. The pair were especially interested in discussing with our own CEO and EIC Asif Khan their frequent trips to the United States (namely San Francisco at the time) and how it colors their creation process. "Every time we go to the United States and California, it brings a lot of ideas. We've already done a lot of traveling and have taken some photos and have done some interviews around the United States," said Baghadoust. "We do a lot of research on the internet, but the best way to get some new ideas and to create new characters is to meet new people." Life is Strange 2 follows the Diaz brothers Sean and Daniel on their trek through the United States as they flee to Mexico from their Seattle, Washington home following a terrible tragedy. The season's first two episodes are out in the wild, but episode 3 has yet to release just yet, and will debut on May 9, with the other two releasing in August and December. "The Life is Strange 2 narrative still hasn't quite won me over. While I've cooled off on certain plot points, with the story capably explaining why the two kids can't simply stay with family to try and fight what's happening, there's still something about the ultimate goal that feels unsettling. And it's something that to me, as someone of Mexican descent, still feels like it has a slightly racist undertone to it. However, as a tale of two brothers, Life is Strange 2 is faring well, with Rules acting as a strong chapter in Sean and Daniel's journey." Nice, I'll make sure to listen to it tonight! And they like pineapple on pizza. Oh it's a video, I can't read it. I wonder what a Life is Strange based around French teenage experiences would be like. The same? Dramatically different?